Theresa Bartholomew is in her 12th year as an educator, with certifications in library science and French. 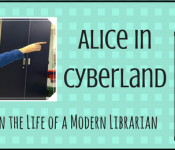 She has spent the last five years working as a middle school librarian for Warrior Run Middle School. While her role has evolved to include educational technology as an everyday aspect of the job, her job title has not. 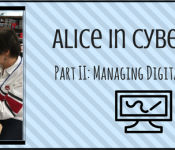 She is a level 2 Google Certified Educator, a presenter at both PETE&C and PSLA conferences, a frequent leader of professional development for her district, and an instructional coach in her building. She co-authors the blog Library Defenders (http://librarydefenders.blogspot.com) with her fellow tech enthusiasts. You can follow her on Twitter @bibliotheresa, Google+, and network with her on LinkedIn.